Here’s a question asked recently. Given a shading tree like the one below, why don’t AOVs like diffuse_direct include the blended color from the Blend Color node? The answer: because it is the Standard shader that writes the AOV, not the Blend Color shader. 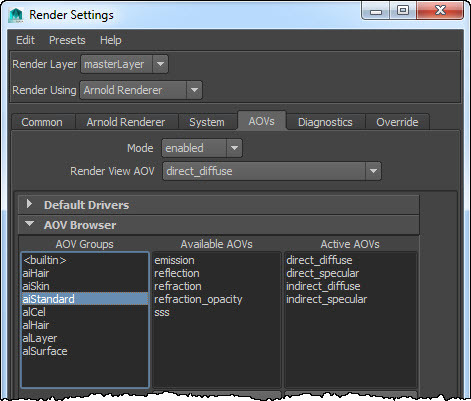 The diffuse_direct AOV gets the diffuse layer calculated by the Standard shader, and that’s it.